The village of Fallow Cross is in trouble. Hercules, the Mayor, is dead, and a powerful sorceress has taken over, casting the village and the surrounding Kingdom into rain and darkness. Without Hercules’ protection, all of the villagers have fled — and only the Oracles remain. Hercules gave them the clue to saving the village, and they know it’s a race against time to recover the pieces of the puzzle and reveal the secrets hidden in the foundations of the village itself. But they can’t do it alone. . . . 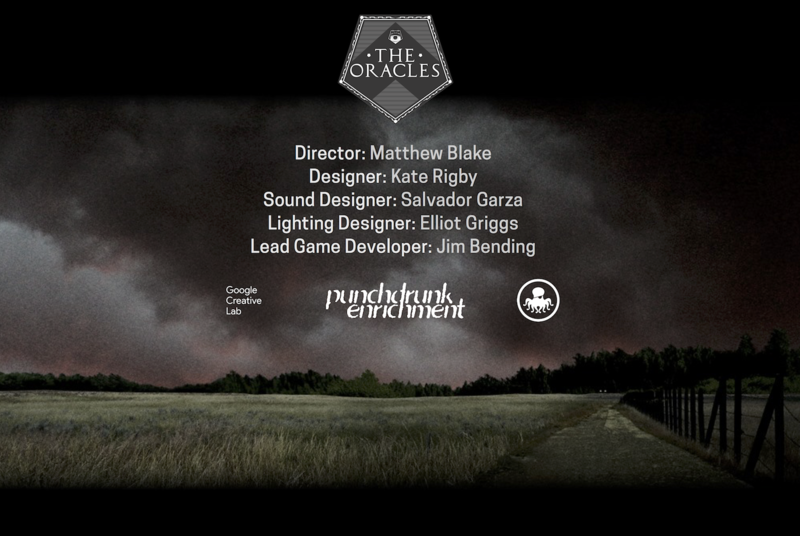 The Oracles is a technologically enabled educational experience that was created by Punchdrunk Enrichment, the educational arm of the theatrical company behind the long-running New York hit Sleep No More, for primary school children in the North London district of Haringey, where Punchdrunk is headquartered. Inspired by the myth of Hercules and his twelve labors, it is designed to engage pupils in Greek mythology and mathematics and to improve digital literacy. 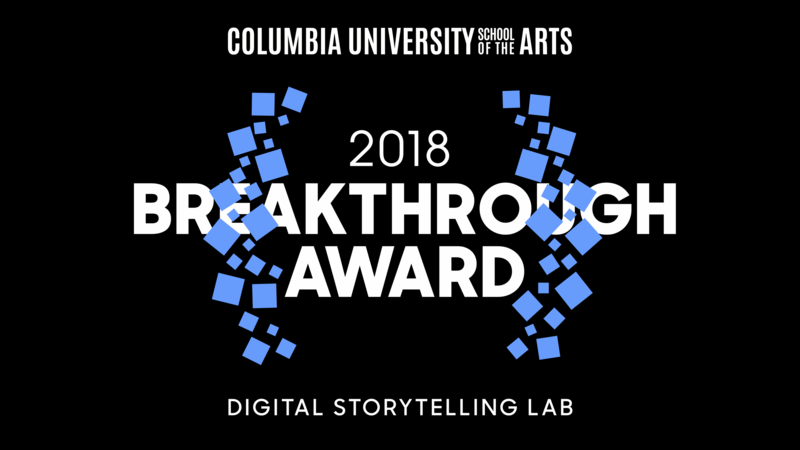 Cutting-edge technology, developed with Google’s Creative Lab and Grumpy Sailor, creates an extraordinary form of audience interaction that blends digital and physical environments as it unfolds over a period of several weeks. 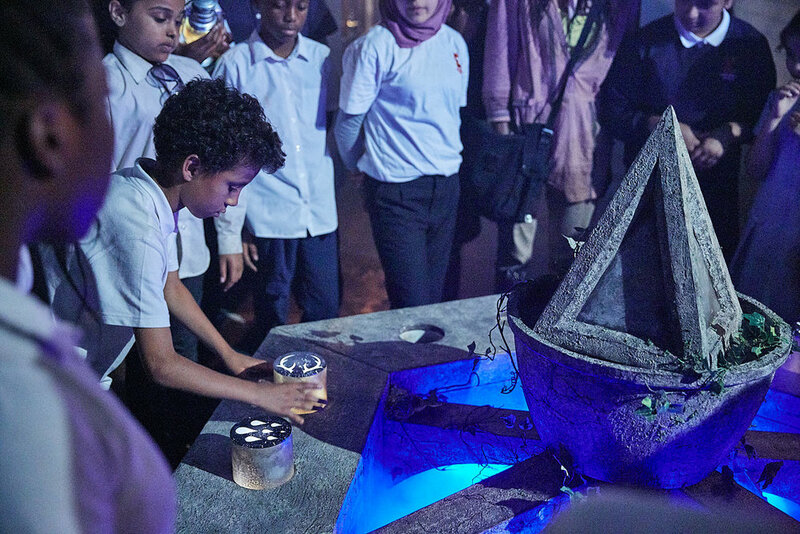 The experience starts with a tablet game in the classroom that introduces students to the world of Fallow Cross and presents them with a call to adventure from the Oracles. Through gameplay and visits to Fallow Cross, the children must recover missing objects to restore protection to the village. “A wood stove is burning in the pub. Candles are glowing in the chapel. A rumpled bed suggests recent occupation. Beyond the school room and the pub, there’s a cloth-maker, a candle-maker, a bric-a-brac shop, a dancehall and assorted dwellings. Visitors to the mayor’s parlour are watched with a beady intensity by stuffed animals. 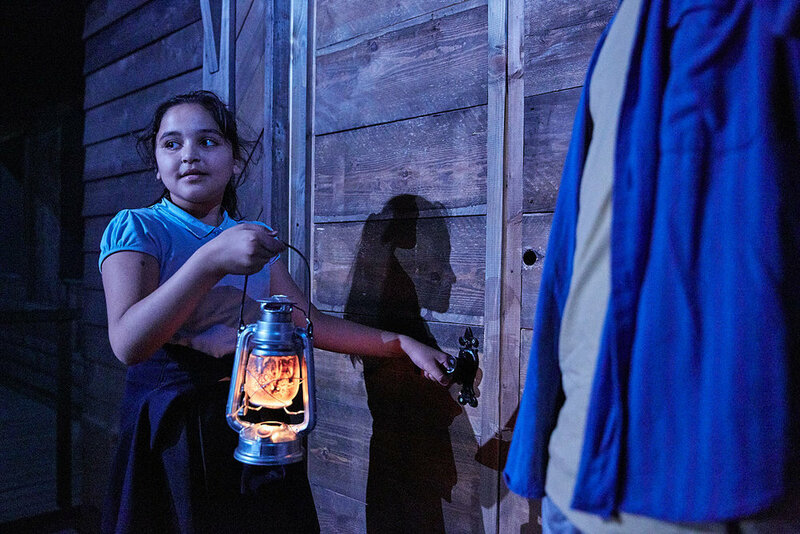 “On the face of it, the production is classic Punchdrunk – lavish sets, moody lighting and a spooky feel – but this production is quite different. 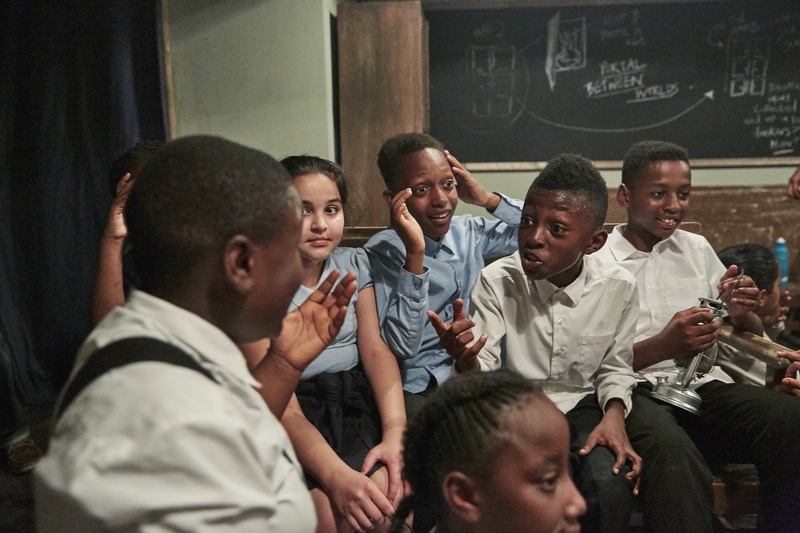 First, it was only open to schoolchildren from the Haringey area. Second, it’s deceptively high-tech. . . . 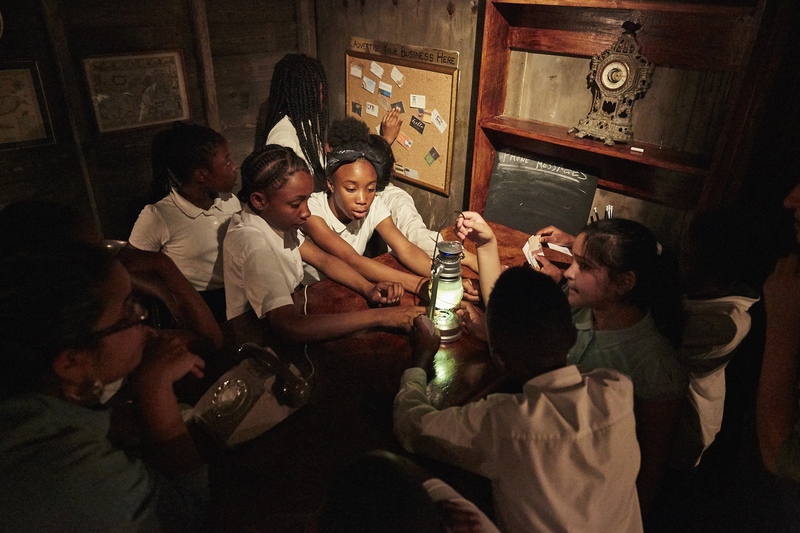 The production starts in the classroom with a simple video game, developed by Punchdrunk’s in-house designer. 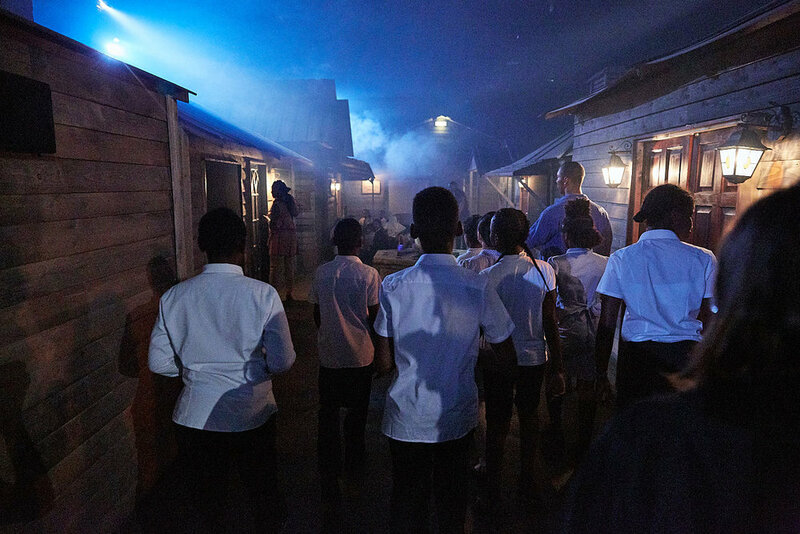 Then the children are invited to continue their quest in the real world, at which point the pixels comes to life in the vast, movie-set world of Fallow Cross. . . . ‘It’s a video game that goes live. You become your own avatar in the real world as well as the digital space,’ Barrett says.